Step 1: Break KIT KAT Cookies & Cream into bite-size pieces. Step 2: Throw into a bowl of Chicago Mix. 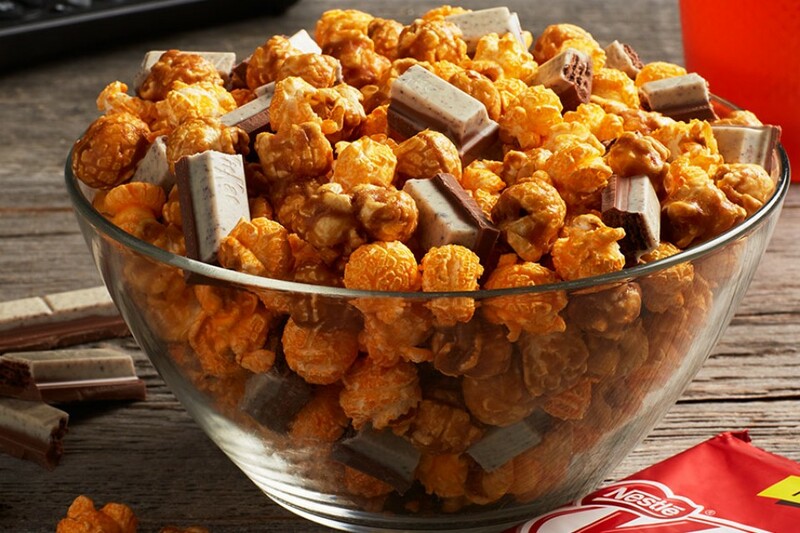 Try a different popcorn, chip, or whatever.